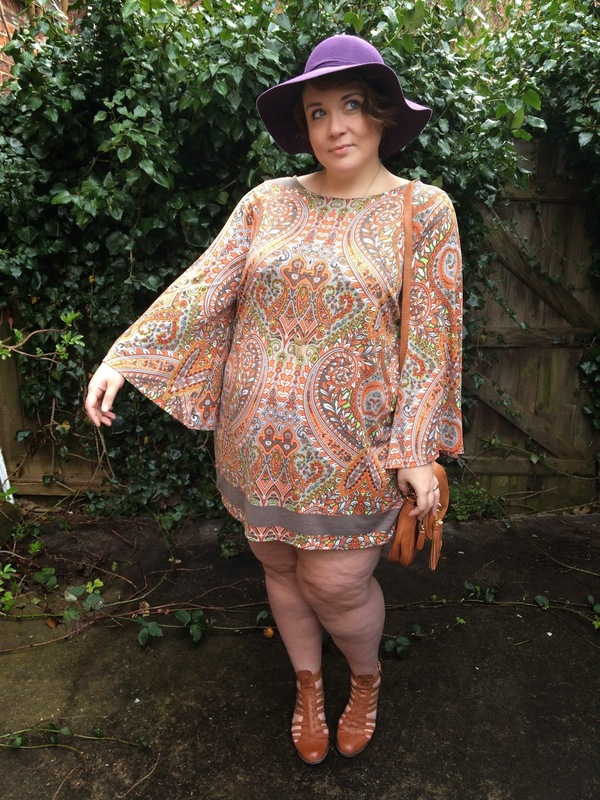 Trend: 70s Style with Yours Clothing. You might have noticed that the 70s trend is huge at the moment. The high street and online retailers are abundant with paisley prints and flared trousers. 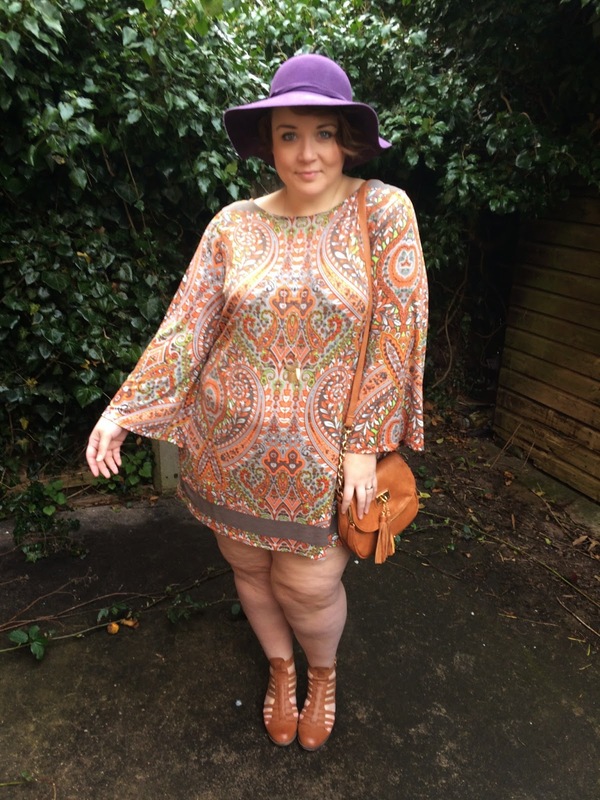 Yours Clothing have been quick off the mark to jump on this trend and have some beautiful plus size boho pieces in at the moment. 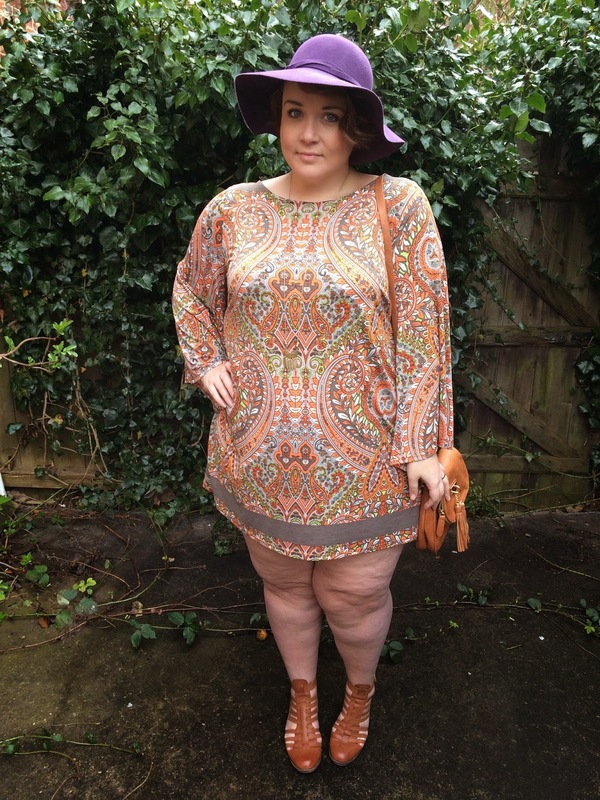 The trend is very fun and flirty and quite etherial too, think Woodstock, think Sonny and Cher! Keep your accessories neutral, tan leather is especially nice with this trend. 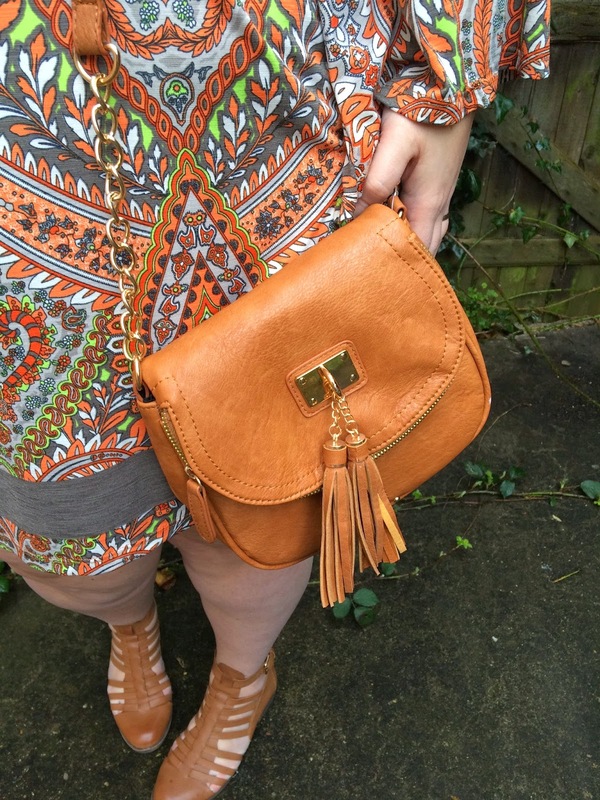 There are lots of tasselled bags about at the moment that are perfect for this. 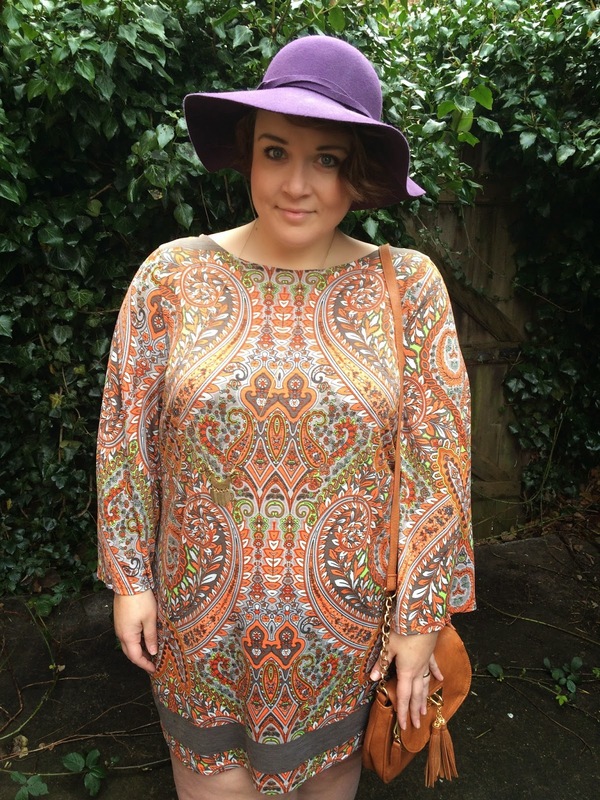 I'm wearing this beautiful orange and khaki tunic with a paisley pattern and bell sleeves, it comes up quite long so I've worn it as a dress, but I think I'd have to put my denim cut offs underneath for my own modesty! This would also look gorgeous with some bell bottomed jeans and wedges. I'm wearing the 22/24 and found it true to size. The tassel bag is from Yours Clothing too. I love the detail, very cute. 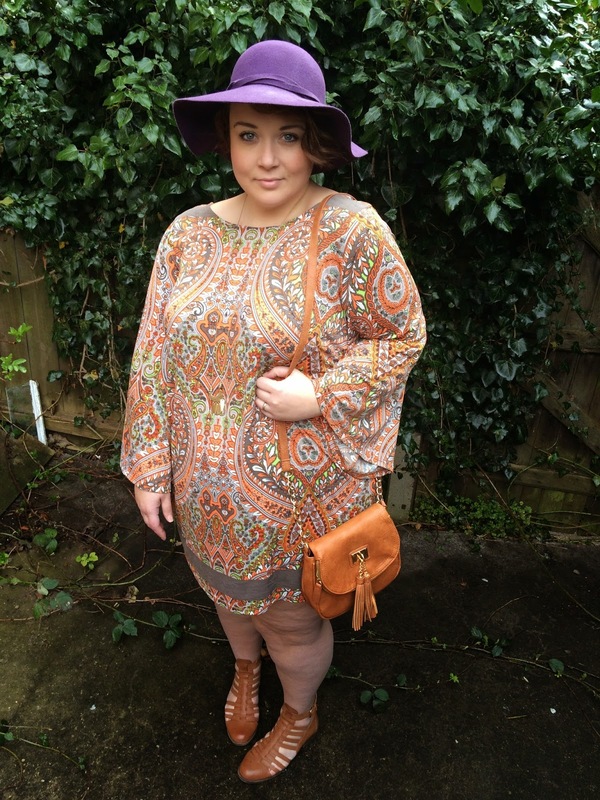 I am loving this trend and think I'll definitely be unearthing my hippy chick for the summer months. Pile on those bangles, dig out those Birkinstocks and feel the love people! Peace out.